I have to give all credit on this one to the Etsy Twitter account for posting this. This man soap is scented with musk and is wrapped with duct tape! 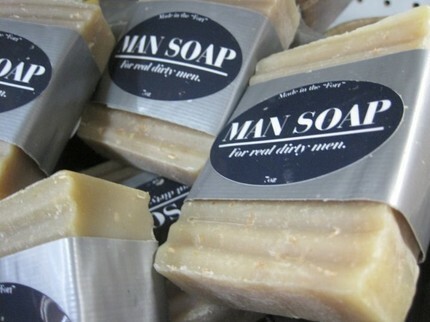 The man soap is a mere $6, so it will probably sell out soon! The seller, sweetscosmetics, has Man Balm for lips available too.